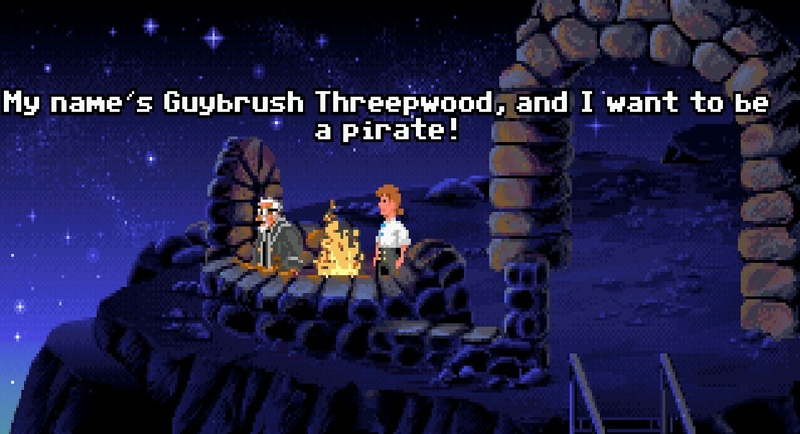 Those who know me well were probably wondering when a remix from Monkey Island would appear and thankfully, Rozovian did manage to create one last year; not only did Rozovian manage to create a Monkey Island remix but a pretty funky one too. You could almost imagine this track actually playing at some bar, late one night, on Guadeloupe perhaps. I only say Guadeloupe because a TV show I've watched called "Death in Paradise" is actually set there and it looks like the perfect place to sit back with some tropical cocktails and whisk your worries away… at least until someone gets murdered of course, it's a murder mystery series after all. Anyway, I digress. Where was I? Oh right, the remix. I;m also a fan of slap bass: you can blame my father for that thanks to listening to a lot of Level 42's Mark "Thunder Thumbs" King in my youth. This particular remix has slap bass in spades and it just makes the track that extra bit funky. My favourite part is at 2:08 where the bassline really becomes prominent and it somehow reminds me of Paul Simon's "You Can Call Me Al" (don't ask me why, maybe they just both have addictive beats?). Anyway, Rozovian did a great job here as Monkey Island's Opening Theme is perfect the way it is, so when you're trying to successfully remix perfection, that's not going to be an easy job: "Late in the Caribbean" manages to do this and that's why it belongs on this list. Thanks to OCRemix for hosting and curating these remixes!